Dr. Troy Brumfield grew up in Blackfoot, Idaho, and graduated from Snake River High School. 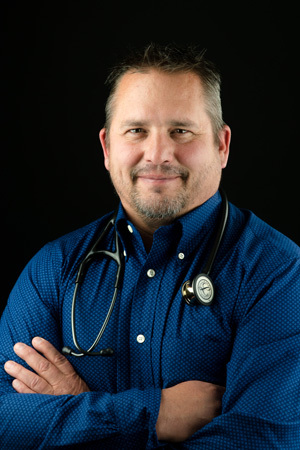 He received a Bachelor of Science degree in Zoology from Idaho State University and then went on to medical school at Des Moines University. He completed a Family Practice residency at Broadlawns Medical Center in Des Moines, Iowa, in 2001. He has been practicing medicine for Community Care since then. Dr. Brumfield has a lovely wife, four amazing kids, one really dimwitted dog, and a strong desire to own every piece of technology. He loves music, movies, goofing off with friends and family, and drinking up every bit of joy he can. Dr. Troy Brumfield is located at our Idaho Falls East location.